GENEVA — The U.N. office for disaster risk reduction said Wednesday that worldwide reported economic losses from earthquakes, volcanic eruptions, floods, hurricanes and other climate-related disasters surged to total nearly $2.9 trillion over the past 20 years. UNISDR, as the office is known, said the reported loss of resources and assets like homes, factories and farms due to more frequent and widespread climate-related disasters rose 151 percent compared to the previous 20-year period. 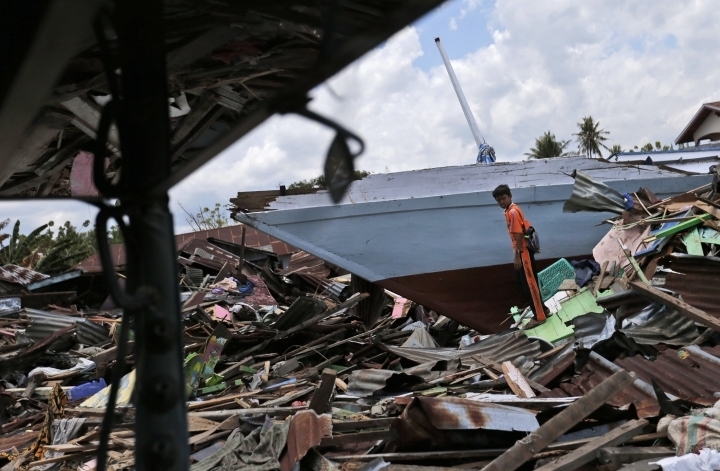 "There is a very sharp increase in the number of climate-related events, which are actually creating 77 percent of the total direct economic losses caused by disasters," said Ricardo Mena, a UNISDR official. "This is really very alarming information." Climate-related disasters — such as from the impact of floods, droughts, and heat waves — accounted for $2.25 trillion of the total. That was up from $895 billion reported between 1978 and 1997. The rest of the total came primarily from tsunamis and earthquakes — so-called geophysical disasters. The U.S. topped the list at over $944 billion, nearly twice the figure from China, in second. Japan, India and Puerto Rico completed the top five. The report came as the southeastern United States appeared to face another possible disaster as Hurricane Michael barreled toward the region from the Gulf of Mexico. The agency cautioned Wednesday that the 1998-2017 figures rely on official reports, so more economically powerful countries are generally overrepresented. Insurance is less widespread in developing countries. UNISDR's tally is based on confirmed documentation, meaning the $2.9 trillion is likely only a fraction of actual losses. This version corrects that the increase in climate-related disaster loss over the past 20 years, as compared to the previous 20-year period, is 151 percent, not 251 percent.